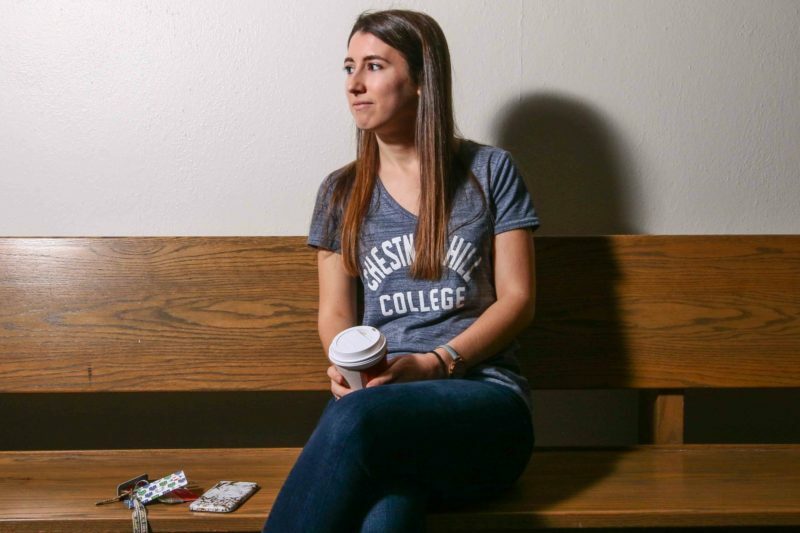 PHILADELPHIA — When she arrived as a freshman at Chestnut Hill College, Erin Crowley wasn’t sure yet what she wanted to do there. Eventually she declared a major in psychology and a minor in art. After a year of psych classes, however, she decided “it wasn’t for me.” Plus, she wanted to make sure she’d have a good job when she was finished, since she’ll have $50,000 worth of student loans to repay. So after almost two full years in school, she switched her major to accounting. Crowley didn’t need an accounting degree to tell her she was far enough behind her fellow majors that she was unlikely to graduate on time. Only through an exhausting regimen of night school, on top of a heavy schedule of six daytime courses per semester, has the daughter of a single mother managed to avoid the extra time and tuition it would have taken to stay in school for more than four years. She’s among the lucky ones. Although almost none of them expect to, nearly six in 10 students in pursuit of bachelor’s degrees do take longer than four years to graduate, even further increasing that financial burden, and forestalling the careers they often need to pay for it. The sobering reality is that some commit to the massive investment in a higher education without actually knowing what they want to learn. There’s no reliable source of information about how many students arrive at college without a major; one national survey of freshmen found that about 9 percent were undecided. After they’ve picked a major, a third change their minds at least once, the U.S. Department of Education says, and one in 10 switches majors two or more times. “I’ve met a lot of people who say, ‘I want to declare my major as this, but I’m not too sure,’” said Crowley, who met prospective freshmen while giving tours of the National Register of Historic Places-listed campus, which mixes French Gothic with Italian Romanesque architecture and includes a chapel modeled on the 13th-century Sainte-Chapelle in Paris. Colleges have traditionally not stepped in forcefully to help with this, other than by setting deadlines — typically the end of sophomore year — for students to declare majors. So Chestnut Hill began a voluntary program this semester to help its students speed things up, using weekly visits with advisors to narrow down potential majors. “There needs to be some gentle, kind reality therapy” to steer these students to their passions, Vale said. Three students from a freshman class of 166 signed up this fall for the small Catholic liberal-arts institution’s new Academic Discovery Program, which is voluntary; two had declared majors within 10 weeks. It’s a very, very small dent in a little-noticed national problem with huge consequences. Nine out of 10 incoming freshmen think they’ll graduate with a bachelor’s degree in four years or less, according to an annual national survey conducted by a research institute at UCLA. But the U.S. Department of Education reports that only 41 percent of them do. The average student takes 4.4 years to earn a bachelor’s degree from a research university and 4.8 years from all other kinds of institutions, the advocacy group Complete College America says. Changing majors is a huge contributor to this. It means many students end up taking courses they don’t need, then scurrying to complete the ones they do. The result is that bachelor’s degree recipients take and pay for 15 credits, on average — an entire semester — more than they need, according to Complete College America. Some give up altogether. Because she took the required courses for both the major that she dropped and the one she added, for example, Crowley expects to finish in the spring with 15 excess credits. As more and more students, parents and state legislators learn that college may take more time and tuition than they thought, institutions are turning their attention to this. “There are institutional measures that we have from the federal government, from the state, from our board of directors. They’re going to look at a dashboard and want to say, ‘How are we doing?’ One of those measures of effectiveness is your four-year graduation rate,” said Kevin Hearn, vice president of enrollment management at Chestnut Hill, which costs about $58,000 a year in tuition, fees, room, board, books and other expenses. But fixing this problem is more complicated than it may seem. Even the most vocal advocates of four-year graduation agree that college is a place for students to sample many disciplines before settling on one that may determine their life’s work. As it is, 36 percent of alumni polled last year by Gallup said they would go back and change their major if they could. Research from the consulting firm EAB suggests that students who pick a major right away and never change it are actually slightly less likely to eventually get degrees than those who switch by sophomore year. 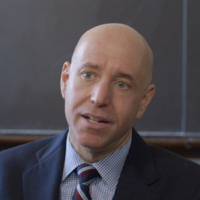 Many colleges find that students who are still undeclared at the end of their first year are also more likely to drop out and less likely to graduate, said Ed Venit, the firm’s managing director. And three-quarters who switch majors as late as the end of their junior or beginning of their senior year take longer than four years to finish or don’t graduate at all. Extra support like that is difficult for cash-strapped institutions to provide, but it’s essential, he and others said. Chestnut Hill College senior Alexis Stoner arrived without having picked a major; she eventually settled on psychology. 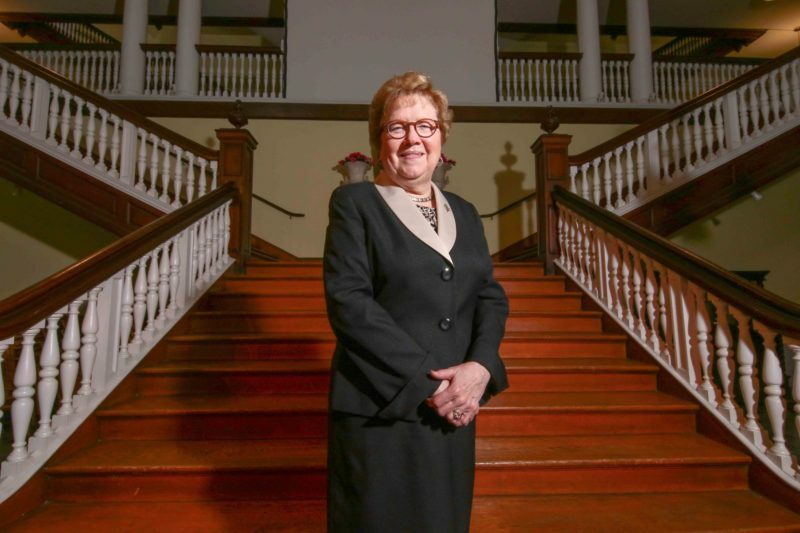 “I think it’s asking a lot of students to choose what they want to do with the rest of their life before they’re even in some cases legally an adult,” she said. Solutions like Chestnut Hill’s remain rare, however, Elston said; few other colleges and universities are zeroing in on helping students find their way more quickly into majors, which risks making them feel unduly pressured and requires intensive (and expensive) advising. Some faculty also discourage students from changing majors. “Faculty are a little resistant to losing even one major, one potential major,” Vale said. 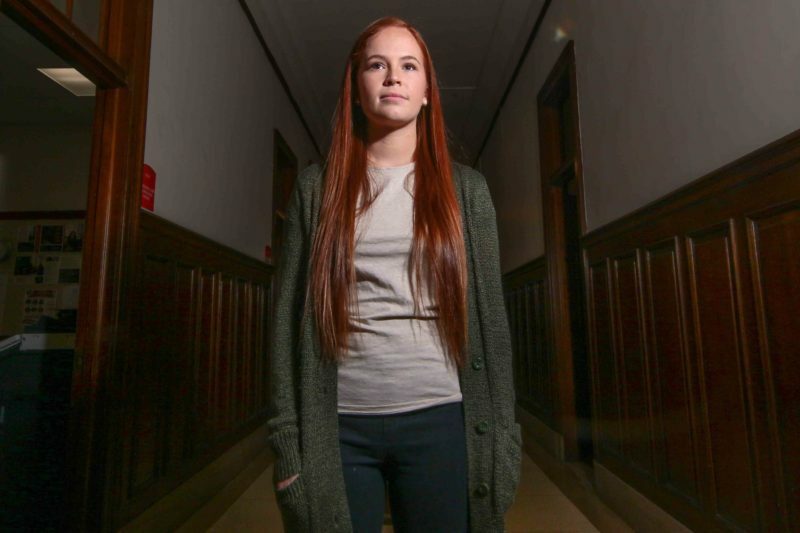 Kim Cooney describes herself as one of those students who, at the end of her junior year at Temple University, changed her mind about her major. It took her an extra semester to graduate, and summer-school courses; now, as director of student success at Chestnut Hill, she works from an office hung with inspirational quotations and a Philadelphia Phillies poster helping others make the right decisions sooner. Not everyone does. Christopher Bunn was among the roughly 10 percent of students who arrived at the college without having declared a major. 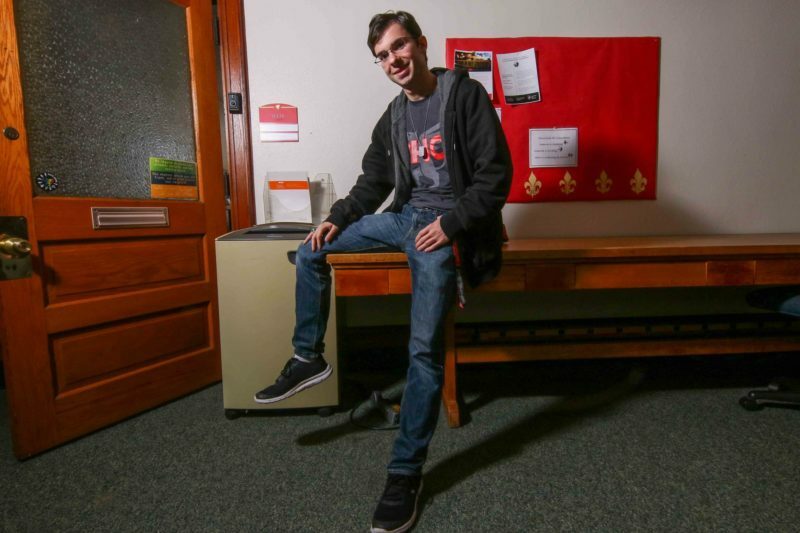 He started considering psychology, then picked music education, then spent the summer at the end of his freshman year working in the campus finance office and decided to switch to accounting. “It’s definitely one of those situations where you don’t know whether you’re making the right decision, but when you find what you want to do, things just click,” he said. Still, said Bunn, who is now a junior, “There are a lot of hoops to jump through,” and he’s had to take a heavy load of 18 credits a semester to finish on time and to accommodate minors in music and philosophy and religious studies. This story was produced by The Hechinger Report, a nonprofit, independent news organization focused on inequality and innovation in education. Sign up for our higher education newsletter.